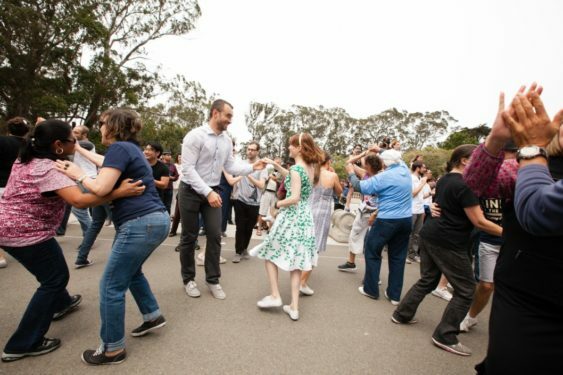 Get ready to swing in Golden Gate Park every sunny Sunday at “Lindy in the Park,” a weekly free event near the de Young Museum, when the streets of Golden Gate Park are closed to traffic and the dancers take over. Lindy in the Park offers a free weekly beginning swing dance lesson, taught by Hep Jen. The lessons are short, easy and fun and then you can practice your new steps with the whole group until 2 pm. No partner is required, as they rotate leaders and followers throughout the lesson.